At Mentalix we’re committed to bringing our customers high quality products and even higher quality service. 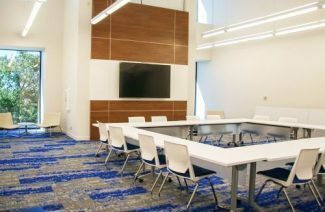 So, we’re pleased to announce complimentary quarterly training sessions for all our current maintenance customers, hosted in our new conference center. These training sessions will be offered for an extended introductory period to current maintenance customers, at no additional cost, in an effort to better serve your needs. There will be a very limited number of slots available at each session, allowing for one-on-one training tailored to individual attendees. These training sessions are perfect for keeping on top of staff turnover, and are more budget friendly than Mentalix onsite training. These sessions can also serve as a refresher course, and as an opportunity for your own trainers to get extra training themselves. We look forward to putting some faces with names in the coming sessions, our sales and support staff will be ready with a warm welcome and, of course, refreshments! Contact support@mentalix.com for more information on dates and times if you would like to take advantage of this new opportunity.